With companies often planning their 2018 holiday campaigns as early as July, here are some top tips on how to build an engaging, stand-out Christmas programme. Email is a critical channel for marketers, allowing them to deliver timely, relevant content to subscribers. This is especially true during the weeks leading up to Christmas, when email campaigns are typically intended to drive purchase behaviour. Unfortunately, this great opportunity also creates great competition from business rivals as consumers’ inboxes are overwhelmed with messages from every brand they subscribe to. 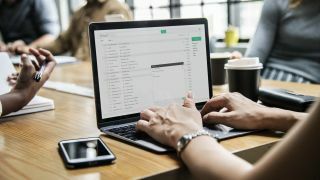 Because of this, email deliverability becomes tougher because even major mailbox providers like Gmail and Microsoft have finite capacity to process this massive rise in volumes. The need to optimise email programmes in order to reach the inbox and make messages stand out is greater than ever – failure to do this can have a disastrous impact on the bottom line. While you may sneer at supermarkets selling advent calendars early Autumn, it’s never too early to start preparing your email programme. In 2017, the volume of emails sent began to significantly increase in mid-November. By November 29, the number of emails sent during the holiday period was 122 per cent above the average daily sending volume. Another benefit of early planning is that senders have time to review what their competitors did the previous year, and harness the most effective tactics for their own benefit! It’s the same over the Christmas period, where increased send volume is common but can cause deliverability problems. Last year, the uptick in holiday email volume was accompanied by a sharp increase in spam complaints, peaking toward the end of December by reaching nearly 0.9 per cent (compared to a 2017 average of just 0.17 per cent). To avoid increased filtering, you need to start your holiday preparations early but ensure you slowly increase your frequency and output. Not everyone on your mailing list is full of holiday cheer. Keeping spam traps, unknown users, and inactive addresses on your sending list will hurt your deliverability during this critical time. In 2017, senders with lists that included more than one per cent unknown users and even a single spam trap experienced reduced sender reputation and decreased deliverability at Gmail, Microsoft, and Yahoo. To avoid the spam folder, run your subscriber list through a validation service, then follow-up by suppressing any emails that have been inactive for more than 90 days. While this may significantly decrease the size of your subscriber list, it will ensure that those receiving your emails are engaged subscribers, which will improve your reputation with mailbox providers and subsequently increase your placement and open rate. We saw proof of this as programmes in the UK and Europe prepared for GDPR, with many of them re-permissioning their email lists. While they ended up with reduced numbers of subscribers, these programmes became significantly more responsive, and in some cases even generating more traffic to their websites than was previously the case. However, before you cull your inactive addresses, make one final attempt to re-engage them with a win-back campaign. This would afford you one last chance to remind disinterested subscribers of the value of your programme. With a read rate of 24 per cent during the holiday period compared to a standard 21.5 per cent through 2017, this period is invaluable for winning back many unengaged subscribers. Email is a very personal marketing channel that provides many opportunities to learn about your subscribers and deliver valuable content built for them. As a result, marketers who know more about their subscribers report higher open rates, more revenue growth, and better email effectiveness. Research from Movable Ink (“Making the Case for Dynamic Content in Email”) shows that relevant emails drive 18x more revenue than broadcast emails. An increase in volume over the holidays means extra competition in the inbox. To stand out, you need subject lines and content that resonates with subscribers. In fact, our research shows that email personalisation and subject line optimisation are the leading tactics marketers use in their email efforts. To create a personalised experience for your subscribers, segment your list based on past behaviour and then tailor subject lines and content targeted to each group. Email senders have also adopted increasingly innovative approaches to achieve this. Their subscribers don’t just want to be sold to, they also want to be entertained. One popular approach has been the sending of interactive advent calendars – last year Norwegian Airlines did this, and saw read rates that were 75 per cent higher than their benchmark. Sainsbury’s allowed subscribers to choose a Christmas persona (“Chief of Christmas”, “Rushing Rudolph”, “Festive Fanatic”, etc). This technique is known as “in-email polling” and acts like a proactive preference centre. According to M2 Research, live polling is a powerful way to get your subscribers’ attention and drive real results, potentially leading to a 100 – 150 per cent lift in engagement. This was definitely the case with Sainsbury’s, and the Read rates for these emails were up to 70 per cent higher than the sender’s benchmark. “Inspiration” emails are also highly popular. During the Christmas period consumers are pressed for time, and need help. Emails that provide assistance with this (“The Ultimate Gift Guide”, ”Make Your Christmas Feast Amazing”) help to solve these problems, and are highly appreciated. Another smart approach is to offer “Snooze” functionality to subscribers. Especially for those who have done their Christmas shopping early, they don’t want to be bombarded with weeks more of festive promotions. Allowing them to take a temporary break from the programme, and then re-activating them when it’s all over can play a very effective role in maintaining positive engagement, keeping complaint rates down, and maximising subscriber life cycle. Much like Father Christmas, mailbox providers also maintain lists of ‘naughty’ and ‘nice’ senders. The ‘naughty’ lists, or blacklists, provide a record of senders with the worst sending practices – critical spam traps, poor quality data and so on - which we’ve already covered above. Mailbox providers block blacklisted senders from reaching the inbox to ensure their users are only receiving email from safe senders. Use a blacklist lookup tool to see if your programme is on any blacklisted and then follow the blacklists’ instructions to be delisted. Mailbox providers also have a whitelist, their version of a ‘nice list’. This is essentially a list of brands that have proven themselves as safe senders and receive preferential treatment and benefits as a result of their status. The best-known of these is Return Path’s Certification program - ‘Certified’ senders are provided with preferential inbox placement, decreased filtering, faster throughput, and performance data from the top mailbox providers. On average, inbox placement is 32.5 per centage points higher at the top mailbox providers than for similar non-certified senders. Creating a strong email campaign can greatly improve your return on investment (ROI) over the Christmas period. By implementing some of these essential tactics your brand can ramp up its email output and capitalise on the biggest sales period of the year.